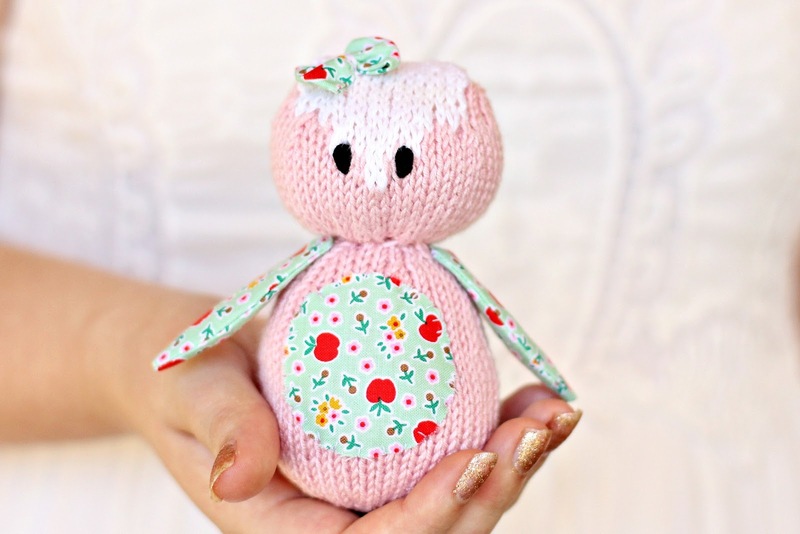 Last week I started knitting a little pink owl. I was rummaging around in my yarn box when I spotted a ball of soft bamboo/merino yarn in the prettiest shade of pink. 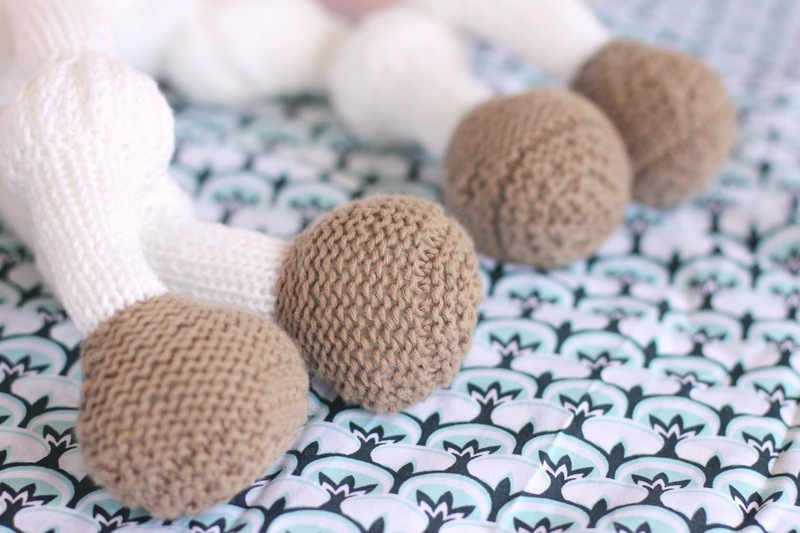 It seemed to say "owl", and so before I had a chance to procrastinate (terrible habit of mine), I cast on and started knitting. I decided to get my little owl knitted by the weekend, so that she might be popped into my blog shop. 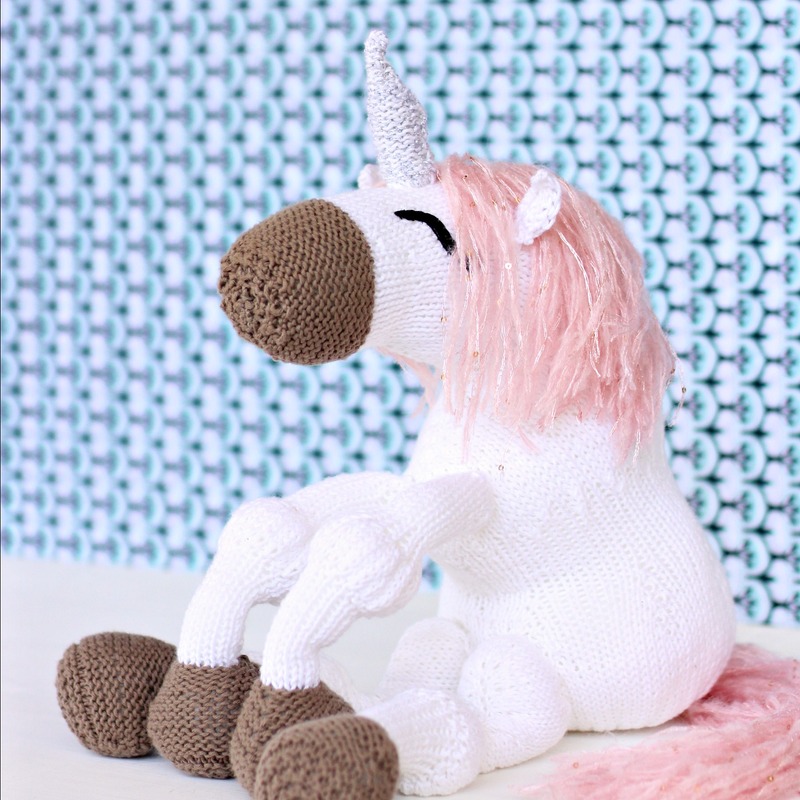 The family of hedgehogs and little Christmas Gnome were looking a little lonely, so I decided that I'd get my unicorn out and get it finished off too. 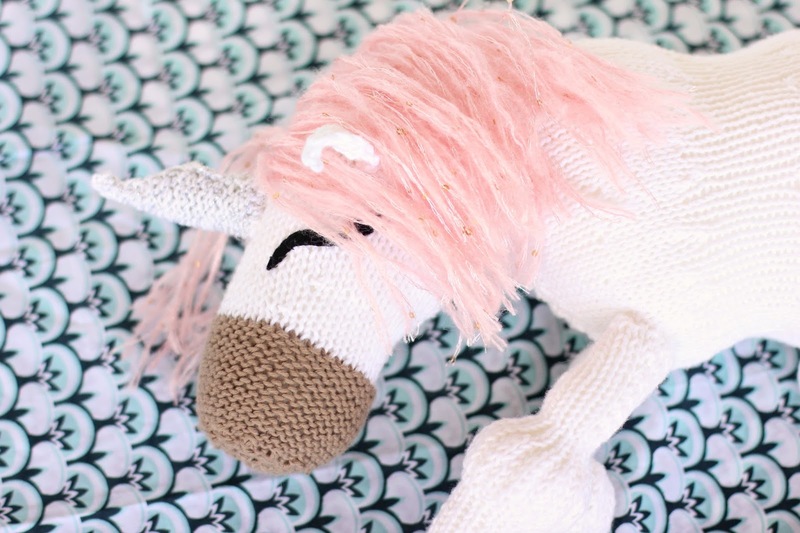 I finished off my little owl on Saturday, leaving me plenty of time to finish the unicorn. 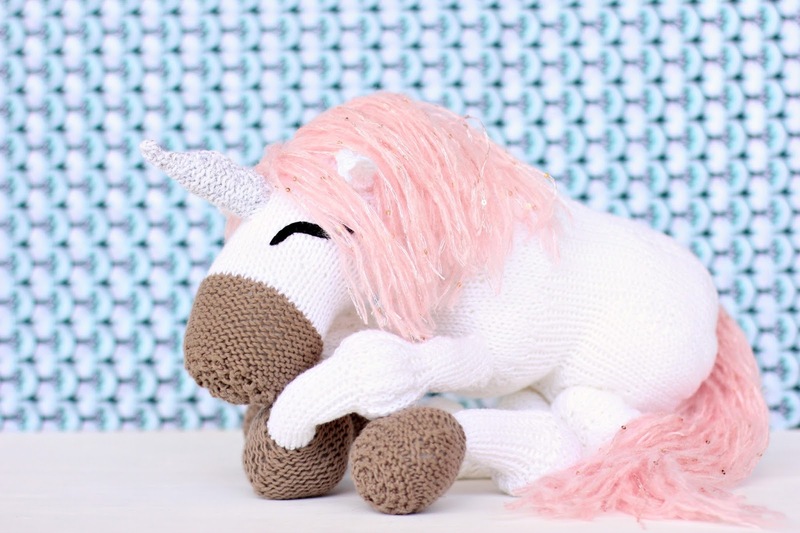 Luckily I had only a few rows left on my unicorn to finish it, as the stitching together of this toy takes many hours. I chose a cheery apple print to put onto my owl, naming her Miss Strudel. 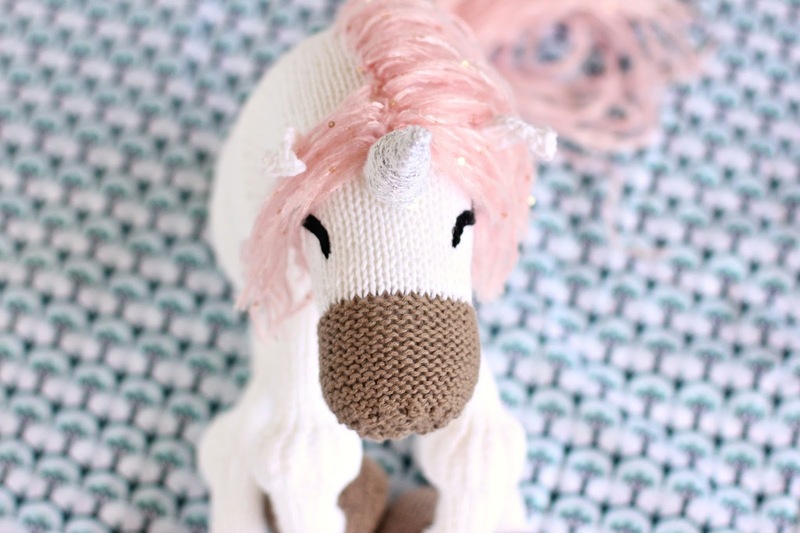 Next came the unicorn, who ended up having a soft pink mane complete with gold sequins, and a silver sparkly horn. I've named her Myrtle, and I couldn't be happier with how she turned out. Both of them are available in my blog shop - Myrtle here and Miss Strudel here - hoping to find a home for Christmas. 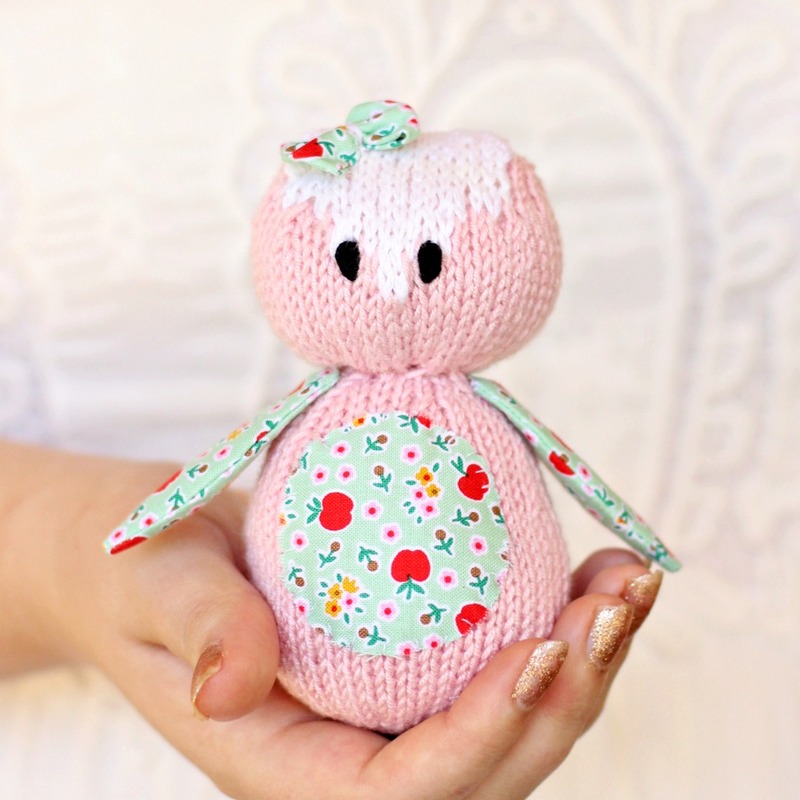 Miss Strudel was made with Little Picnic Owl pattern and the unicorn is from a (sadly!) out-of print book found at the library. Aww look at Myrtle, she is gorgeous!